With all the hype approaching next weeks big game, I decided to get into the spirit as well. This was a post that I intended to do prior to to the season, but I wasn't able to get everything together until now. For those who don't know, college football is king here in the south and you are born a fan. And if you couldn't already tell, I am lifelong fan of the Alabama Crimson Tide and going into next week, the U of A will play what should be the biggest game in college football this year. With all of that said, I know that some of the readers are fans of that other in-state team and I don't want to appear one-sided, so should they pull off a miracle and beat Bama in the final game, I will make a Paracord Gear post in their honor. 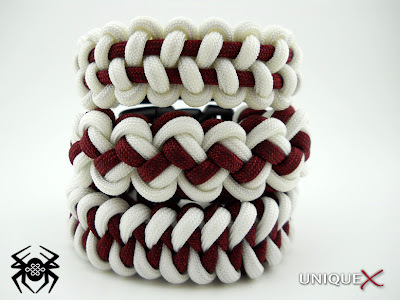 The bracelets in this edition are all designs by TyingItAllTogether and a video for each bracelet is available on his YouTube channel. 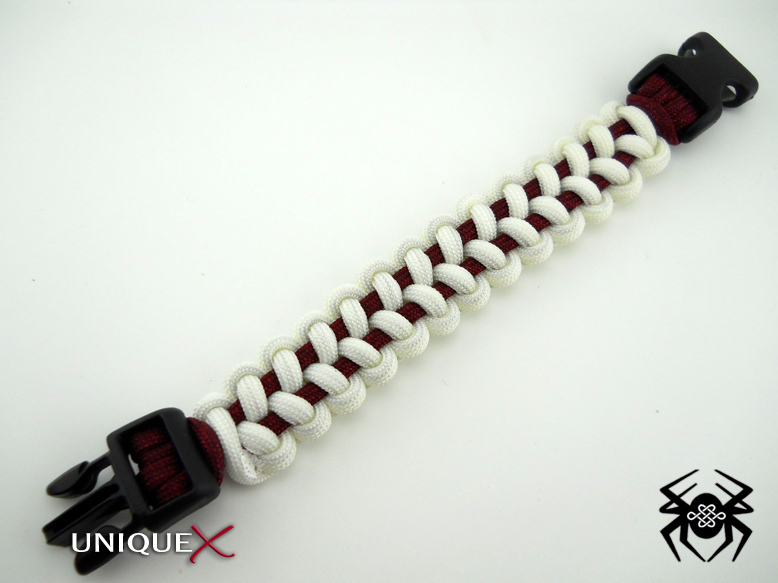 There are three bracelets included in this edition of Crimson Tide Paracord Gear, the Stitched Solomon Bar, Thick Zipper Sinnet and Shark Jaw Bone. For these bracelets I used a 5/8" side release buckle and for all but the Stitched Solomon Bar, I used six feet of cord for each color. 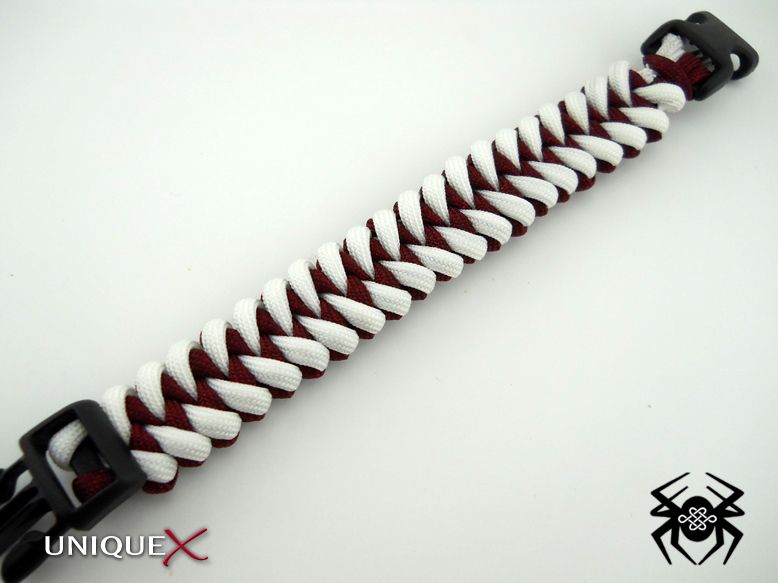 For the Stitched Solomon Bar, I used six feet of cord for the Solomon Bar color and around two and a half feet for the stitched color. The Thick Zipper Sinnet and Stitched Solomon Bar bracelets were tied for a new friend and reader of my blog and I hope she enjoys her new bracelets. I hope this post doesn't offend any of the Auburn or LSU (or any other teams) readers, I respect all teams especially teams in the SEC. 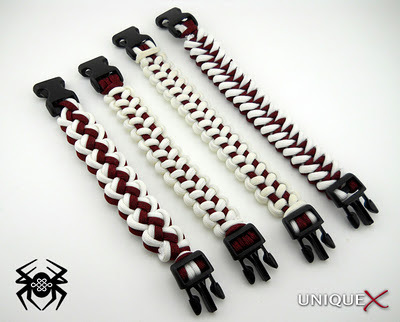 Wow these are amazing designs! It is very nice to see how the paracord knots are used to create these beautiful designs. @Jude Thanks for the support and kind comments. how did you add buckles on them? How do you put the buckles on it? 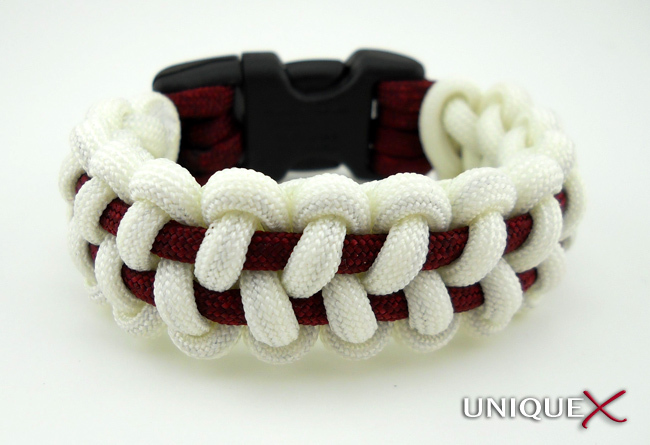 @Anonymous: Most of my paracord bracelets are tied using the same technique as shown in the Wave Weave Bracelet tutorial. 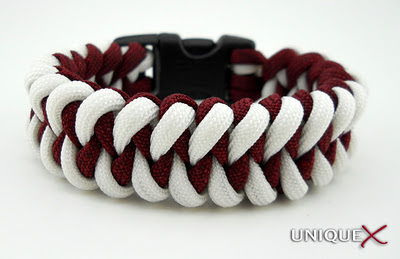 where do you buy the crimson paracord? 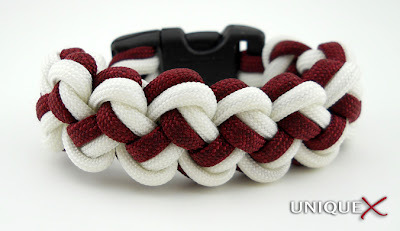 @Ben: The crimson paracord I used in this post was purchased from Supply Captain. 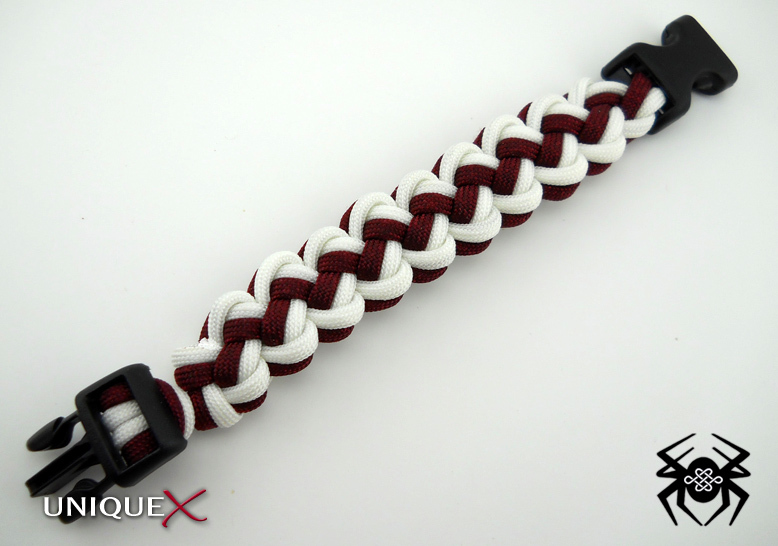 The name of the color is Burgundy and is a little too dark for Bama colors. Supply Captain is supposed to be coming out with a true crimson color soon. I am in the process of ordering a different color from Vermont's Barre, it's called Imperial Red and I hope it will look closer to the actual color. Thanks Chad for the response. If at all possible would you let me know if the Imperial Red is closer to Bama's color. I have alot of friends an relatives wanting me to make them some for football season. Tried to leave a message through the Contact Message system. 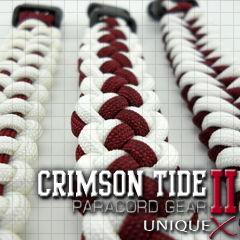 Is there another way to contact you about the Crimson Tide colors and shoelace blanks? Is there a problem with the "contact me" button? You can contact me through me email at uniqueropecraft@hotmail.com.